Do you think experiencing a creative career transformation is possible? Not long ago, it was a distant dream for singer-songwriter Jennifer Vazquez. She was about to give up. Then something shifted for her. 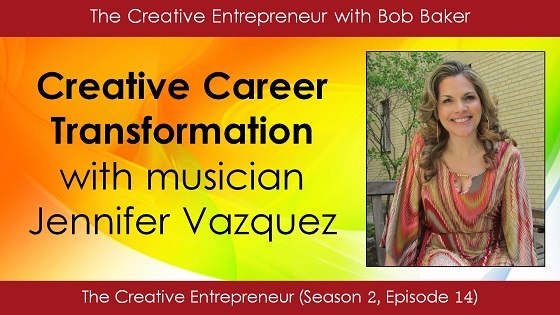 Listen as Jennifer explains how she transformed her perspective and her approach to making music and art. It changed her life. And it just might change yours too.